Avail our services and book your rail tickets conveniently without facing the hassle of online and offline booking. 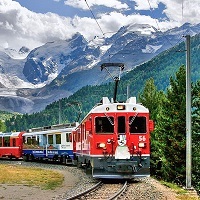 At Vishal Tours And Travels, we are providing rail tickets to clients traveling across the nation. Our motto is to serve you the best in the shortest turnaround time and at economical rates. Well-versed with the Indian Railways ticket booking system, we undertake urgent and advance booking requirements. So, just share your journey details, preferences and budget; we assure to reserve tickets accordingly. We are based Mumbai (Maharashtra, India) and provide 24x7 assistance.